More snowflakes in the making. Man, talk about a stupid and vague law... What's an unreasonable amount of time to walk to school? 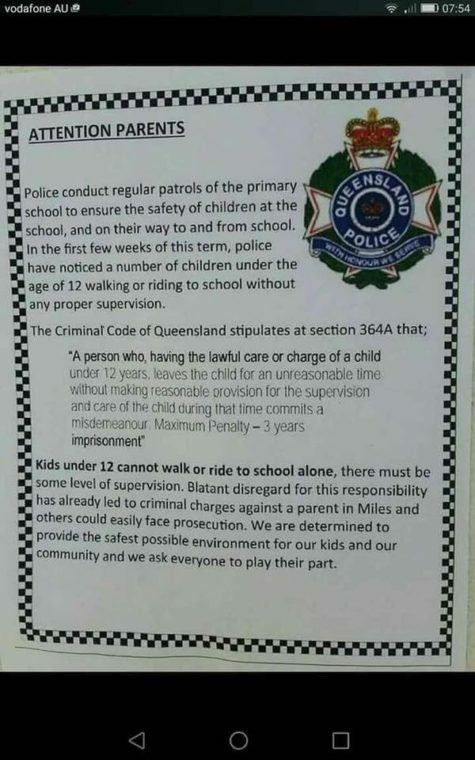 1: How the hell does a child RIDE to school without "proper supervision"? 2: How far is considered "too far" for 9, 10, or 11 year olds to be walking without holding mommy's hand? 3: Why are progs such whiny, infantile wimps? Remember, kids! It was liberal education which got playground exercising and equipment banned, so your fat arses can't run from liberals hiding out near the school zones. We fed you Meals by Moochelle so you can barely walk to class much less school. You're welcome! You're never safe, ever, anywhere, so get used to us protecting you! Signed, The NEA.